CMI held a roundtable discussion in Vienna on the topic of engagement with non-recognised entities in peace processes. The panellists discussed good practices and the lessons to be learned for including non-recognised actors in peace processes. Tuija Talvitie (left) gave the opening address to the event. The moderator was Ambassador Marcel Peško, director of the OSCE Conflict Prevention Centre. 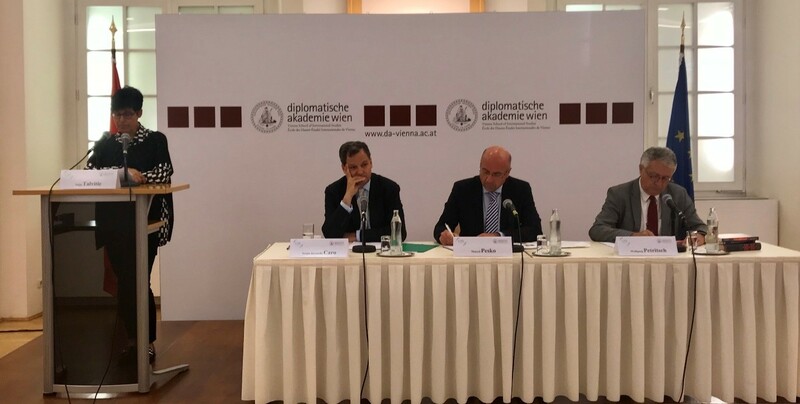 On 18 July 2018, CMI organised a roundtable discussion in the Diplomatic Academy of Vienna, Austria on the topic of engagement with non-recognised entities in peace processes. Many of the parties to today’s conflicts are informal actors, that is, non-recognised entities. The opening address was given by CMI executive director Tuija Talvitie, who emphasised the importance of acknowledging and including non-recognised entities and actors if peace processes are to be successful. The panellists discussed how non-recognised actors were addressed in peace processes in which they had been involved. In the words of Ambassador Sergio Jaramillo Caro, former High Commissioner for Peace in Colombia, “It took us several years of indirect and later direct talks with FARC in secret in order to create breathing space and make the peace process public”. According to Ambassador Wolfgang Petritsch, former EU Special Representative for Kosovo, “Belgrade for a very long time refused to directly negotiate with the Kosovars. Because of this, the mediators had to conduct proximity talks”. 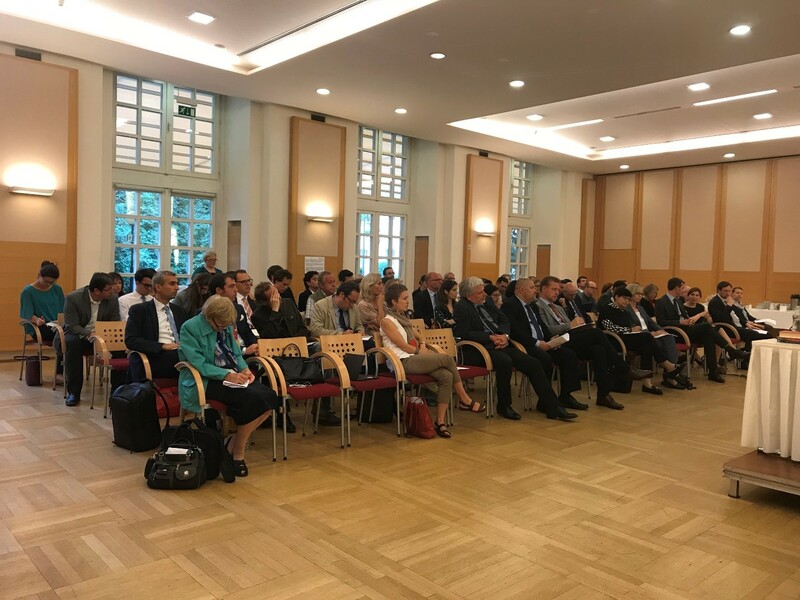 There were over 70 participants in the event, including representatives of the OSCE secretariat, permanent delegations of OSCE member states, embassies, academia and civil society organisations involved in conflict resolution activities. It became clear in the discussions that the most appropriate method of dealing with non-recognised entities and actors in peace processes differs from case to case. As Talvitie put it, “Most such actors and entities are eventually reintegrated in politics or in the security apparatus. Some end up being defeated militarily, such as the Islamic State in Syria and Iraq”. The discussion also highlighted issues such as the importance of broad inclusivity and political long-term commitment to the peace process, and the need to create sufficient trust between all parties.